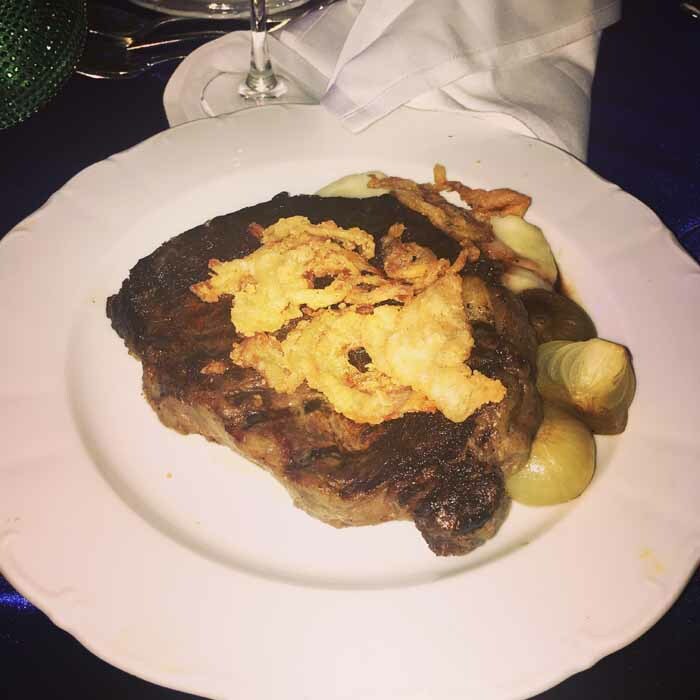 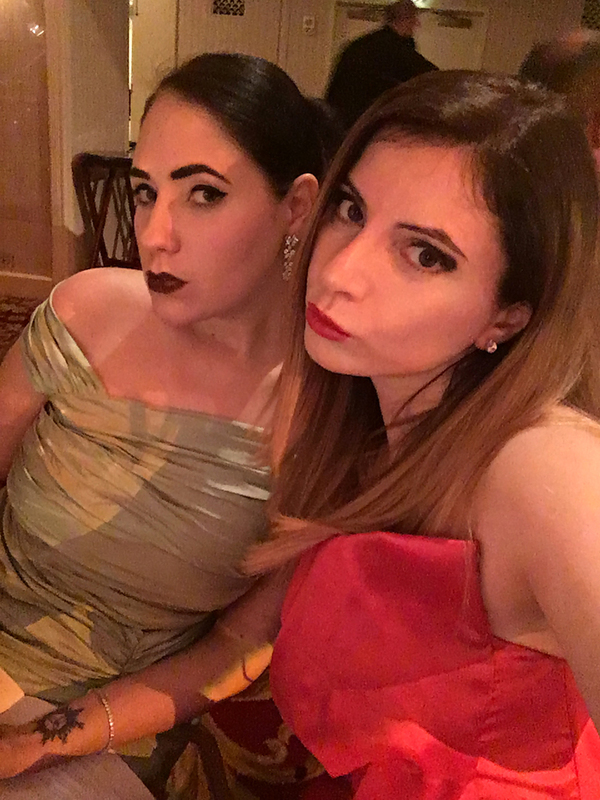 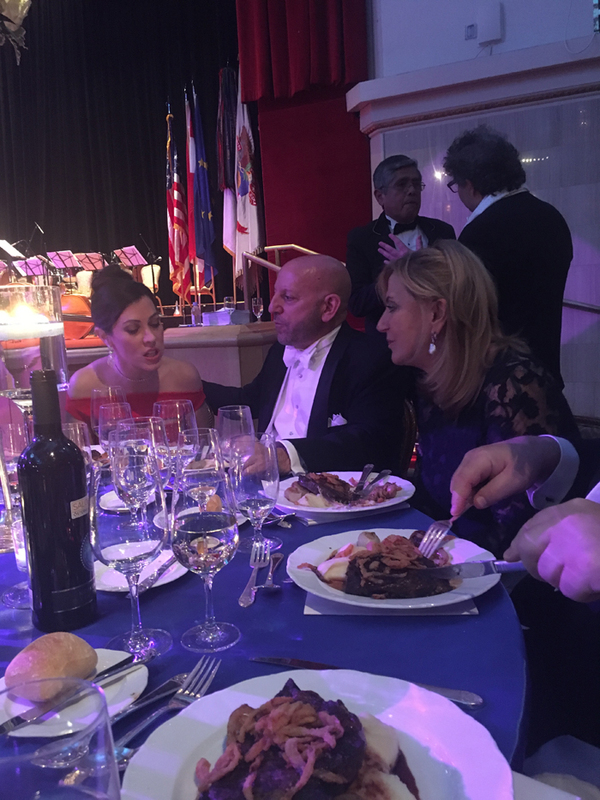 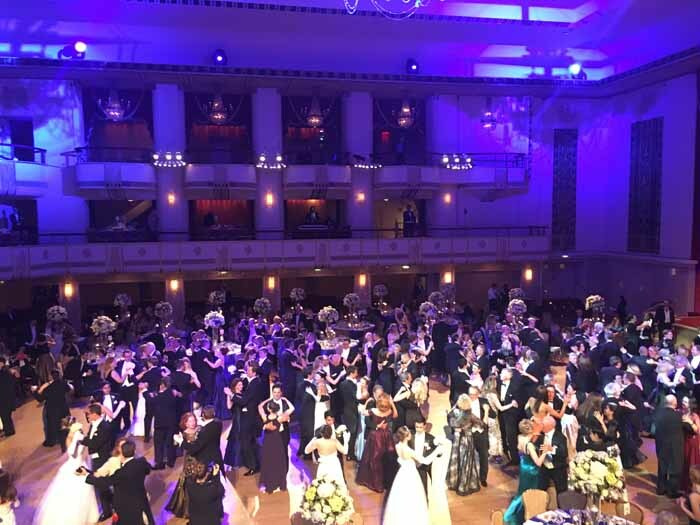 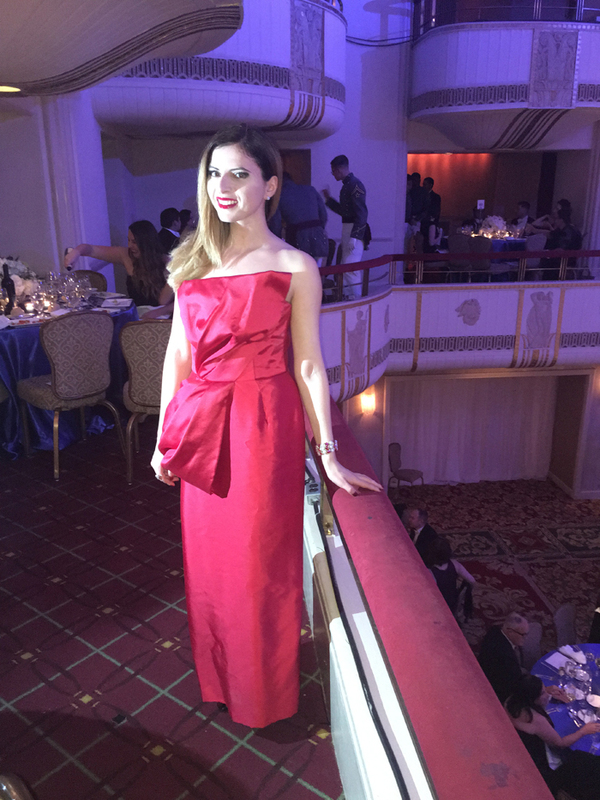 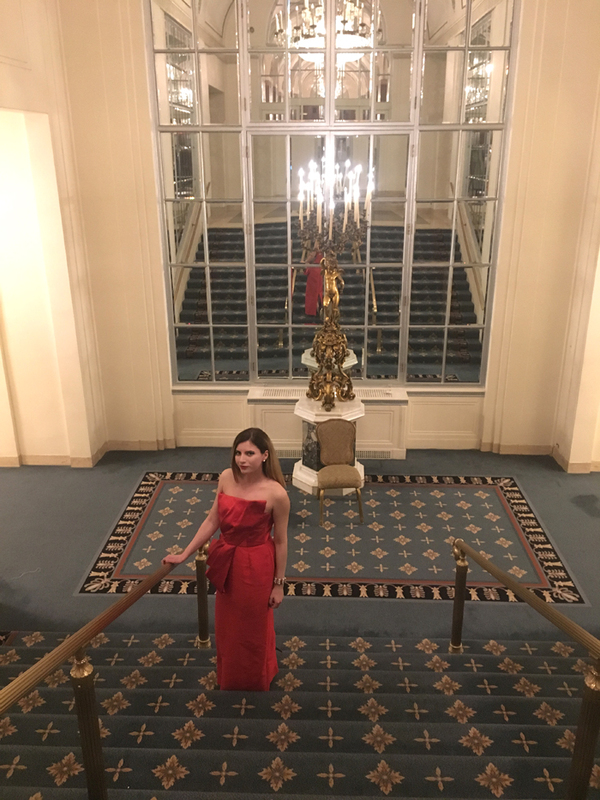 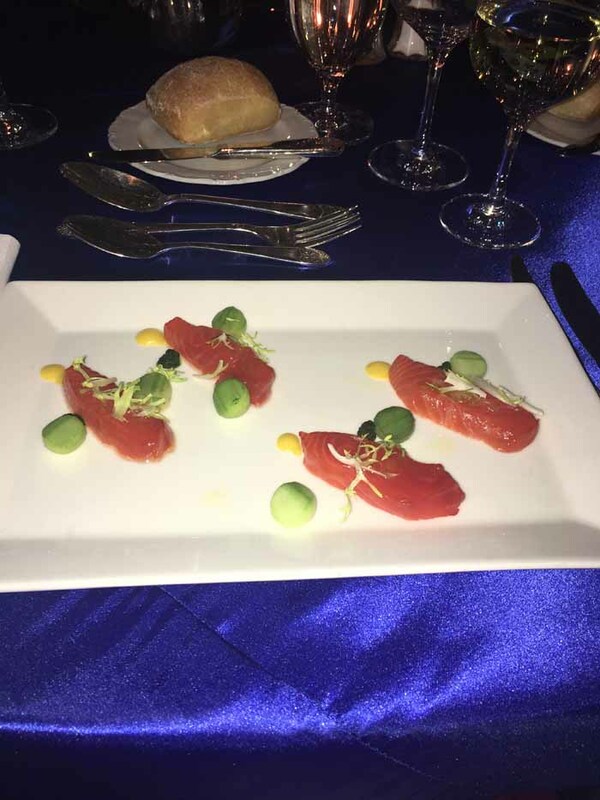 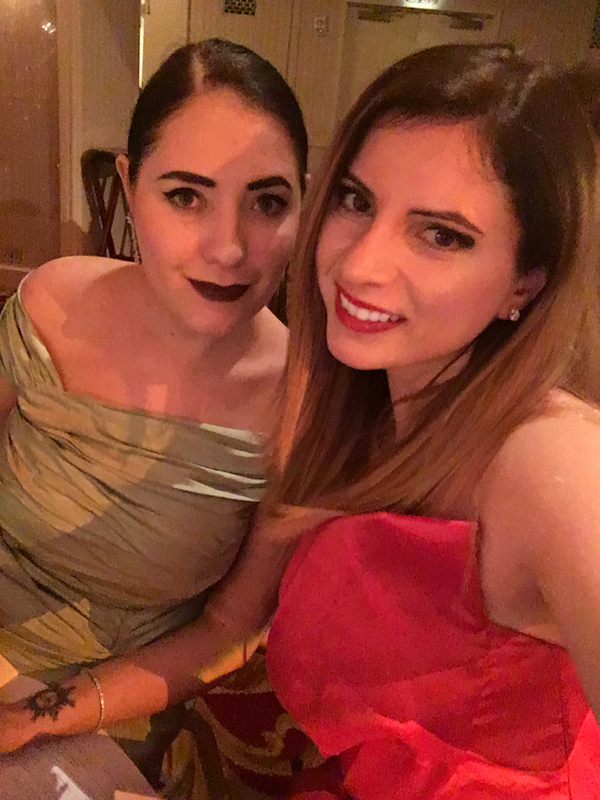 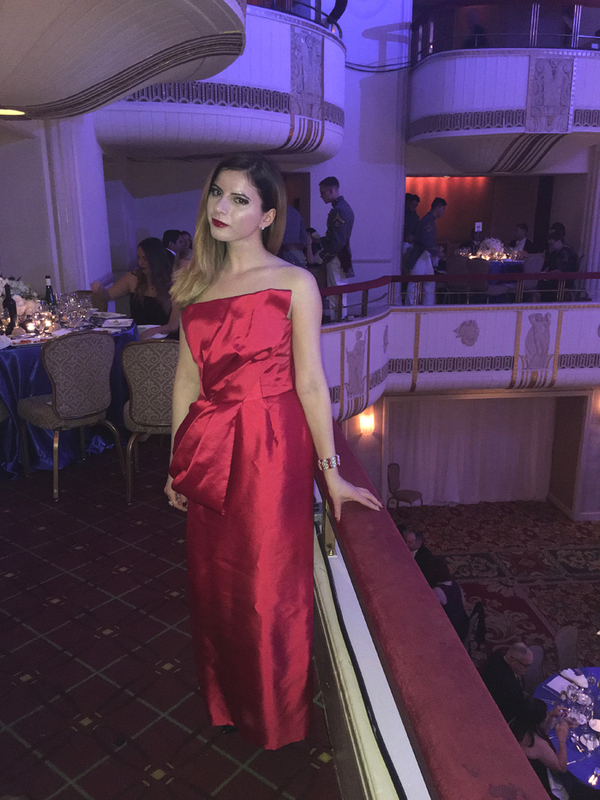 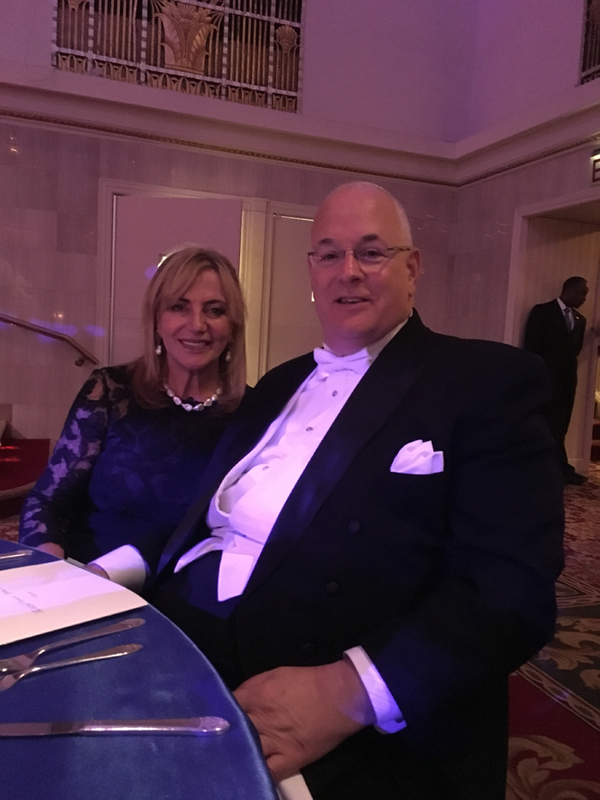 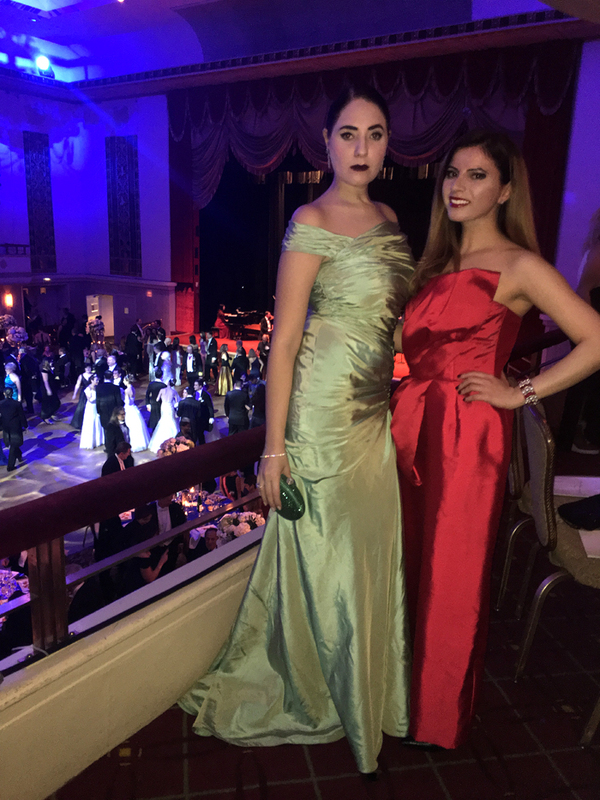 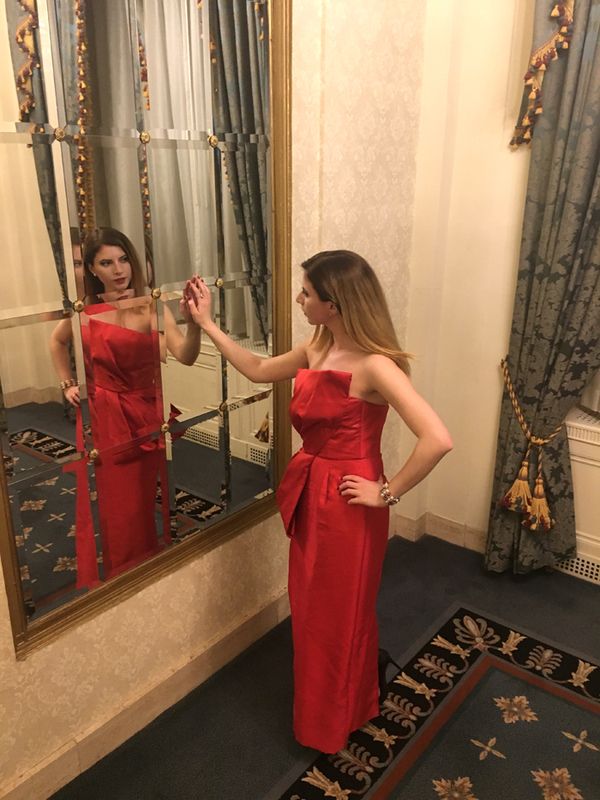 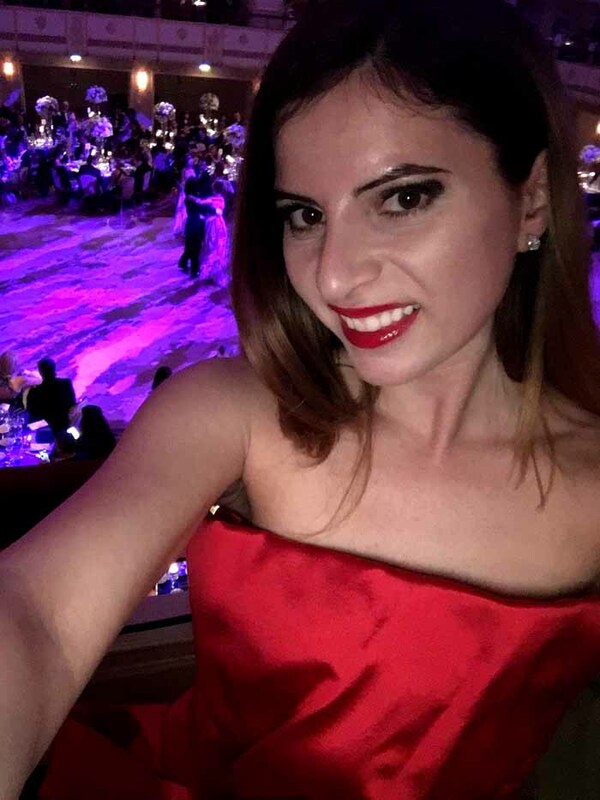 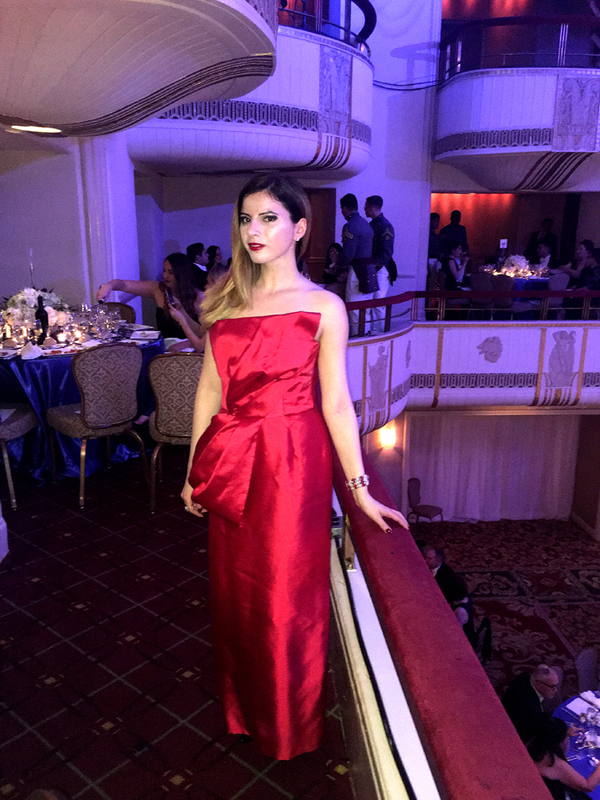 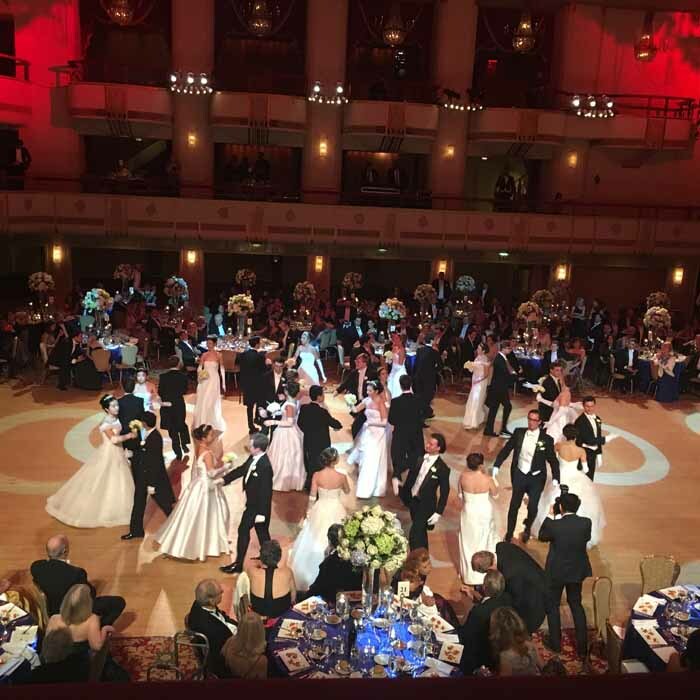 I was incredibly excited to attend the annual 62nd Viennese Opera Ball for the second time in a row this past week. 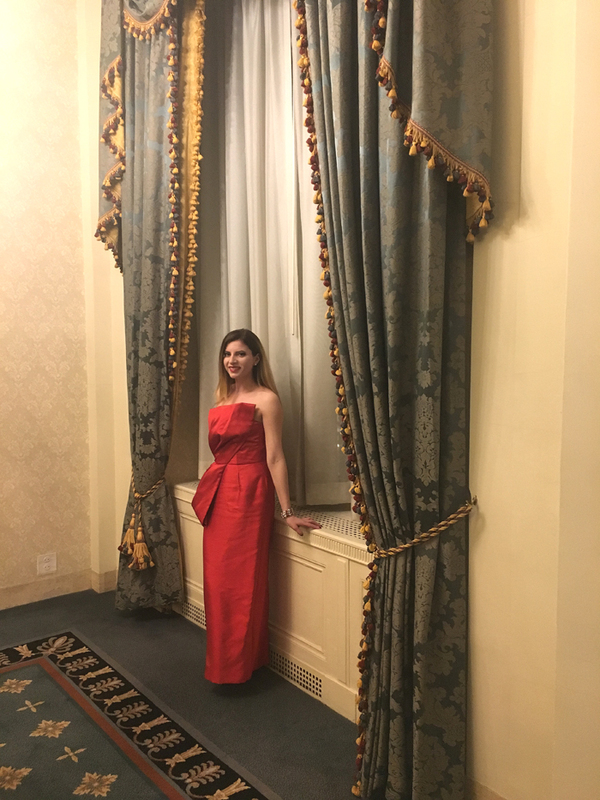 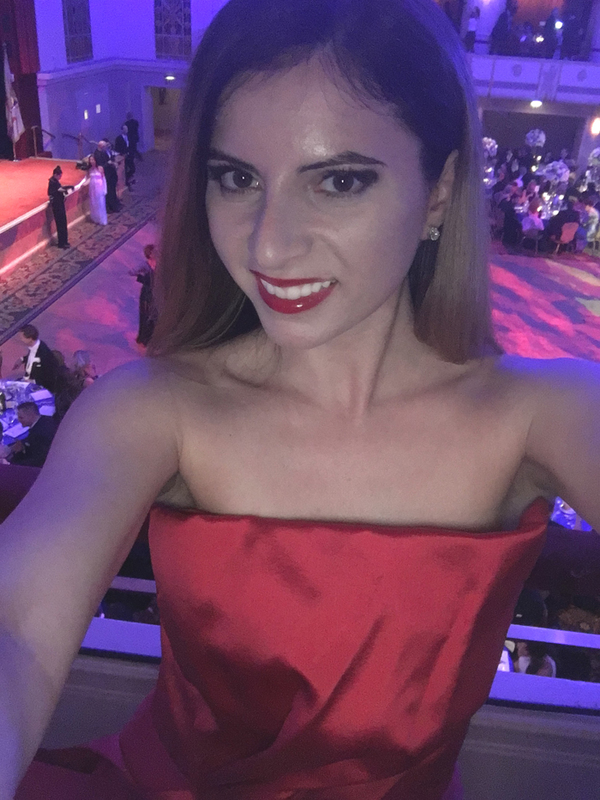 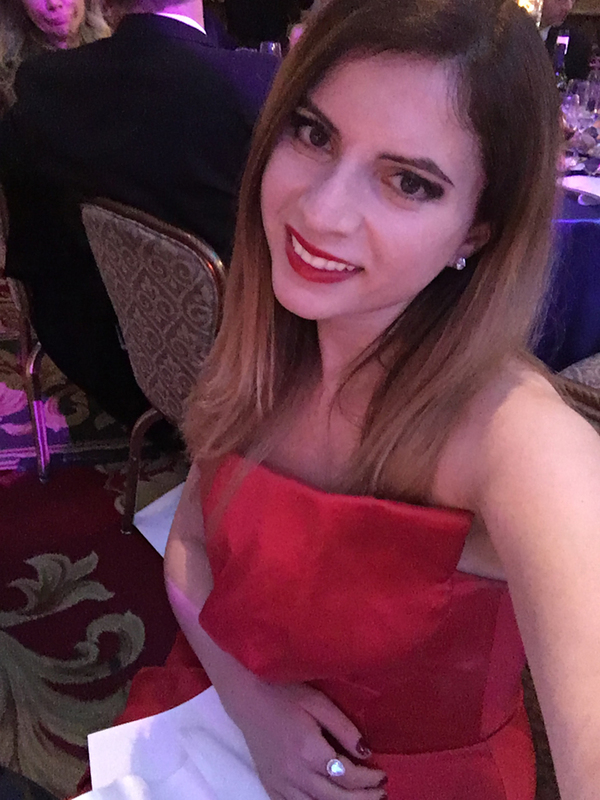 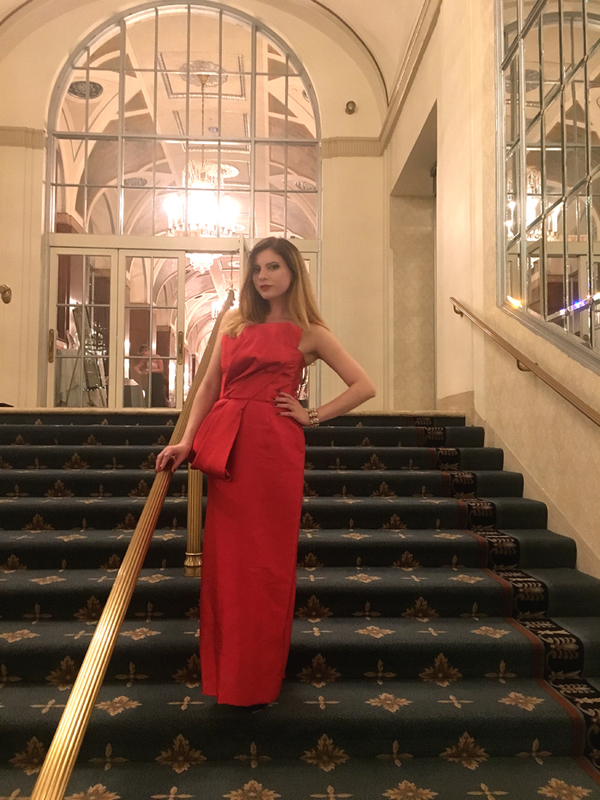 For this momentous, special occasion I wore a Kristi Vosbeck red gown that had officially made me the 'lady in red' that evening. 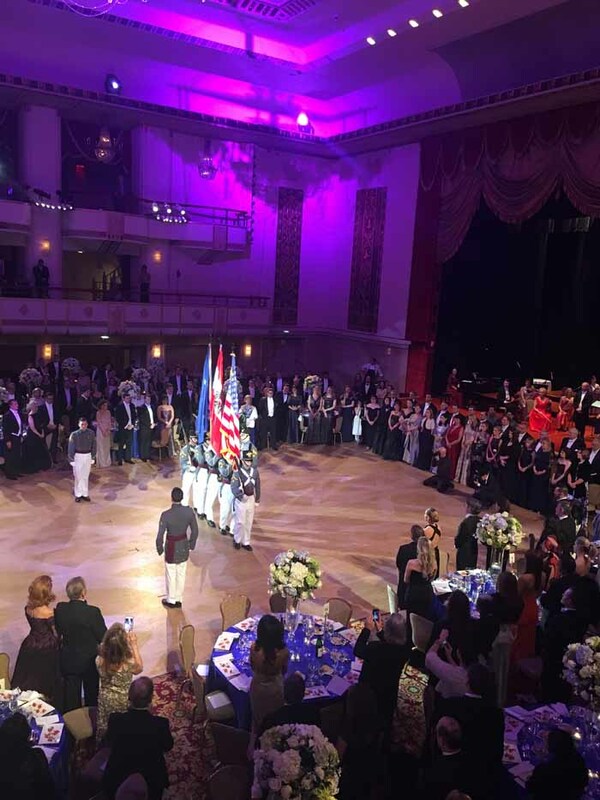 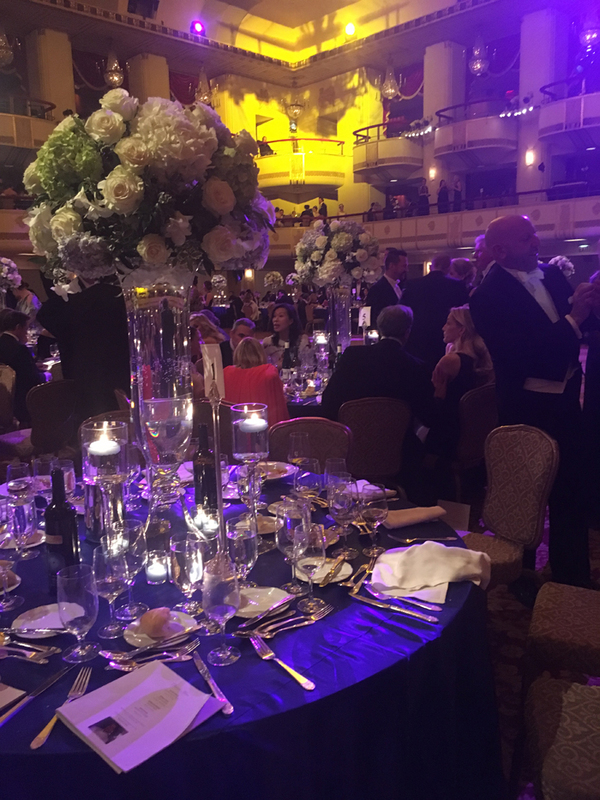 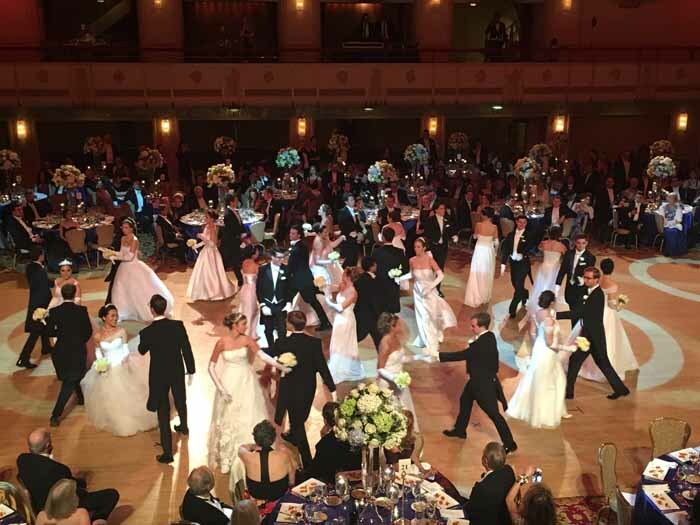 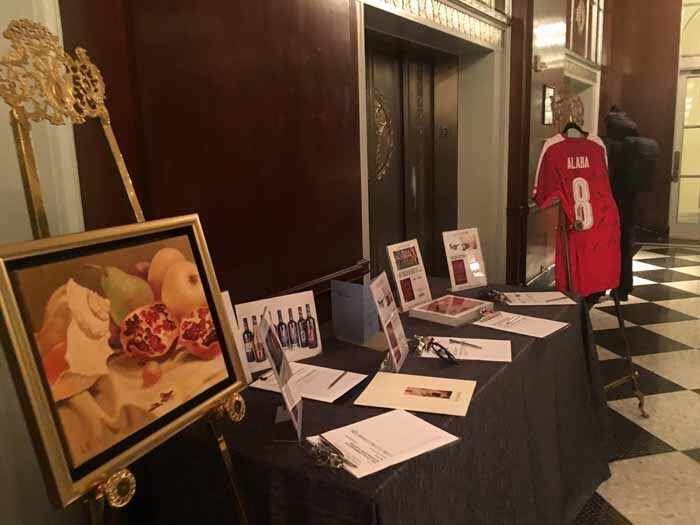 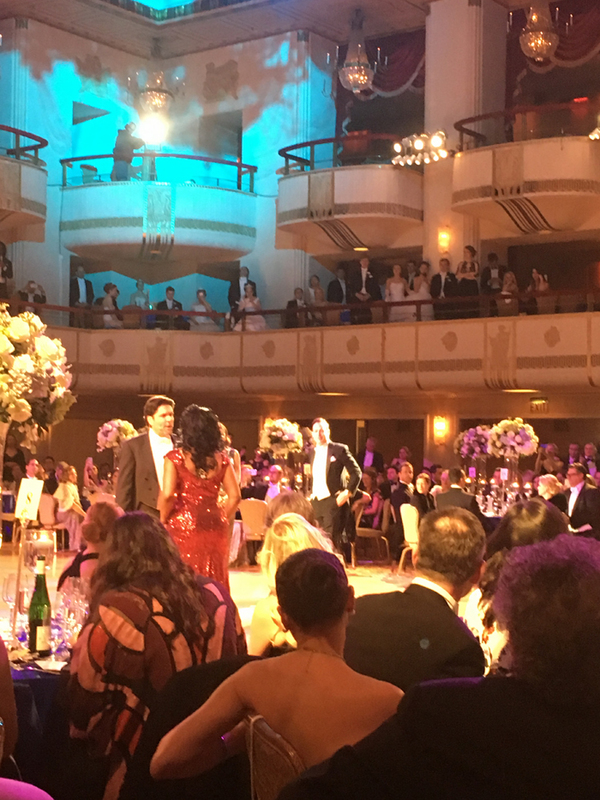 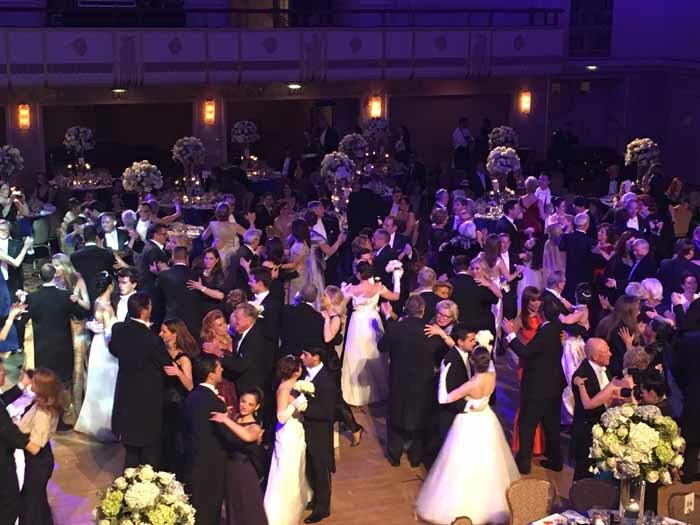 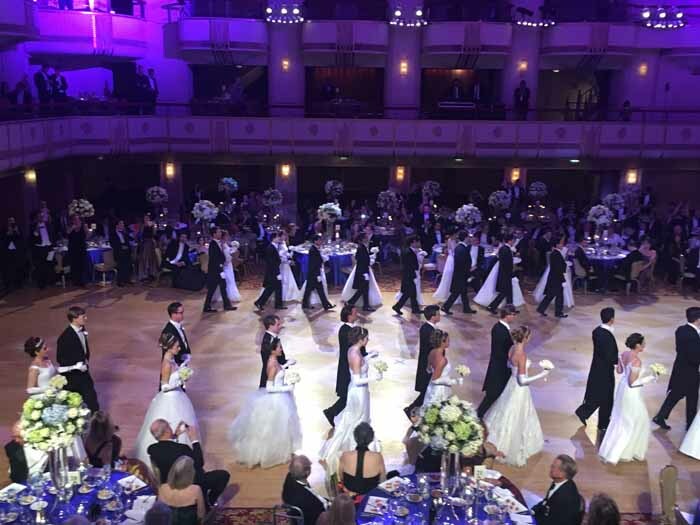 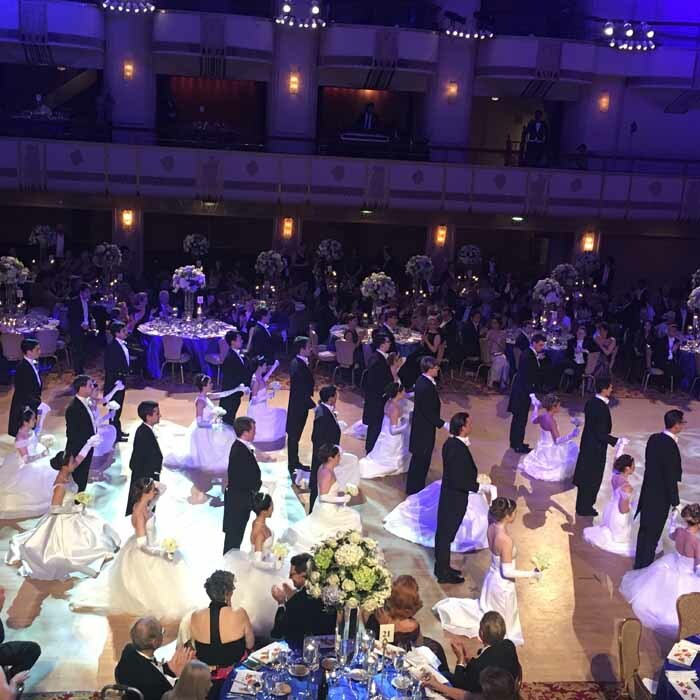 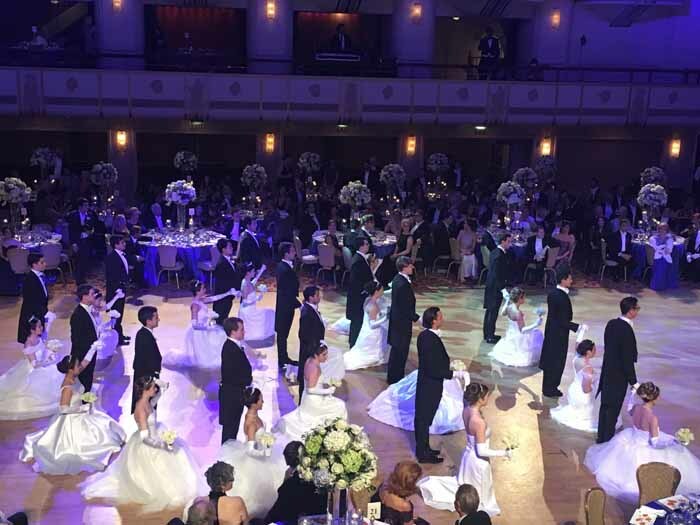 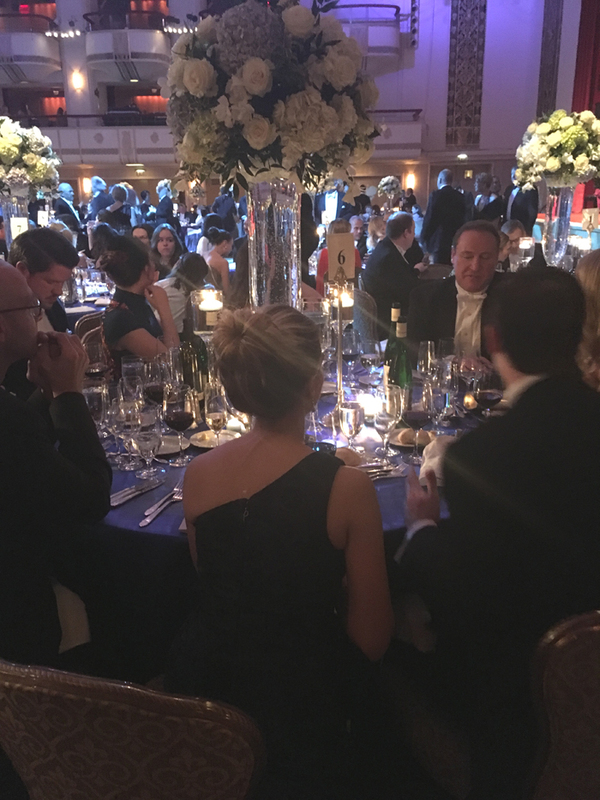 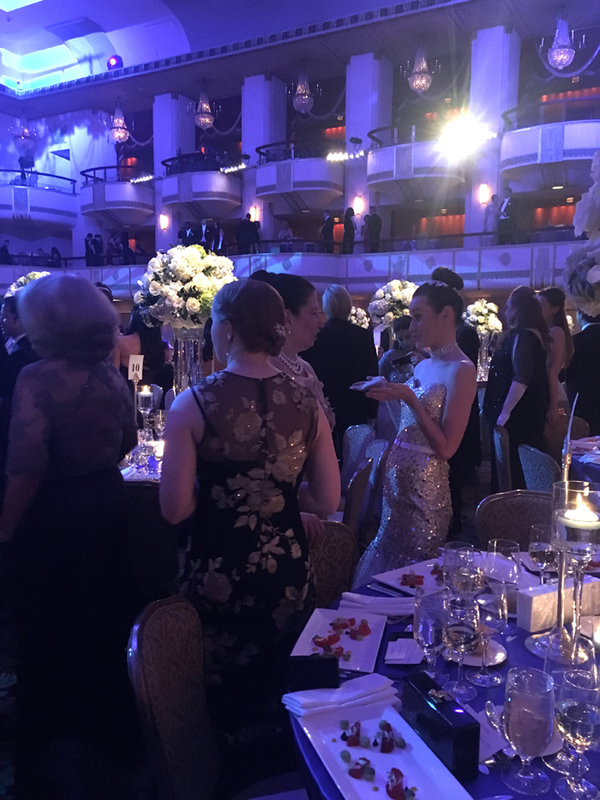 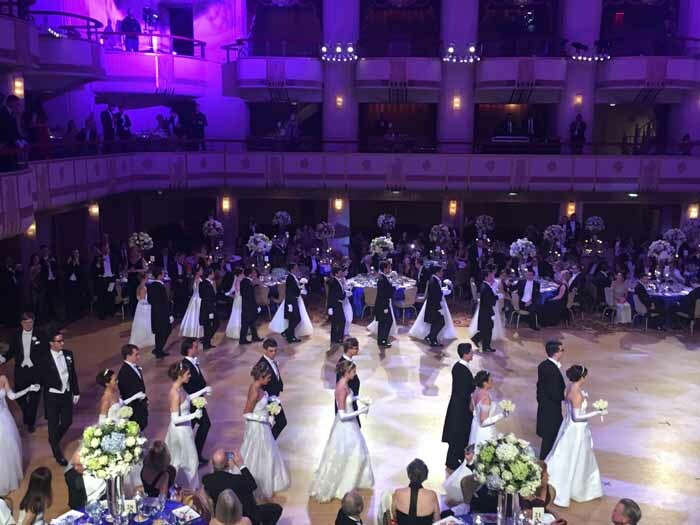 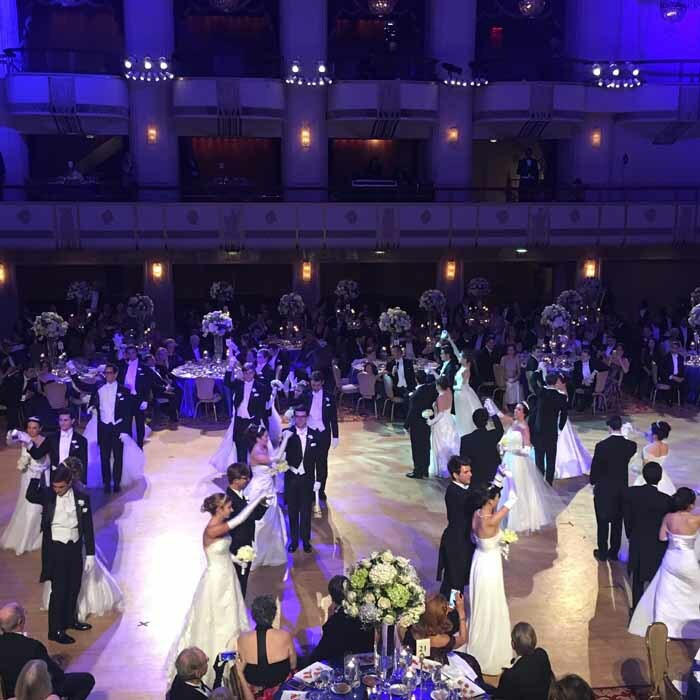 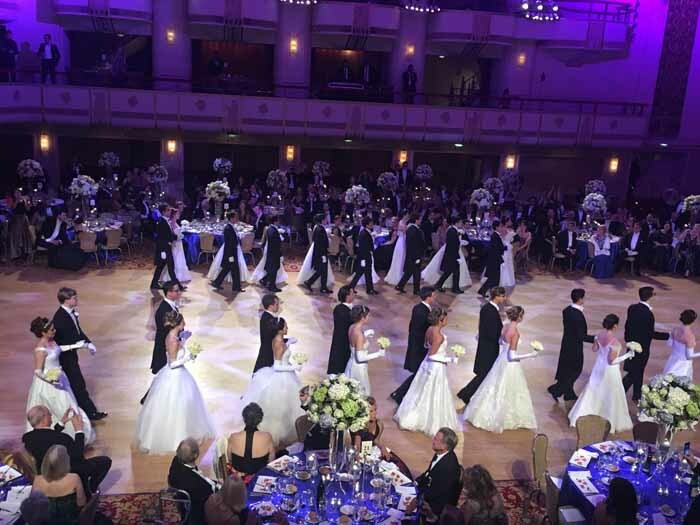 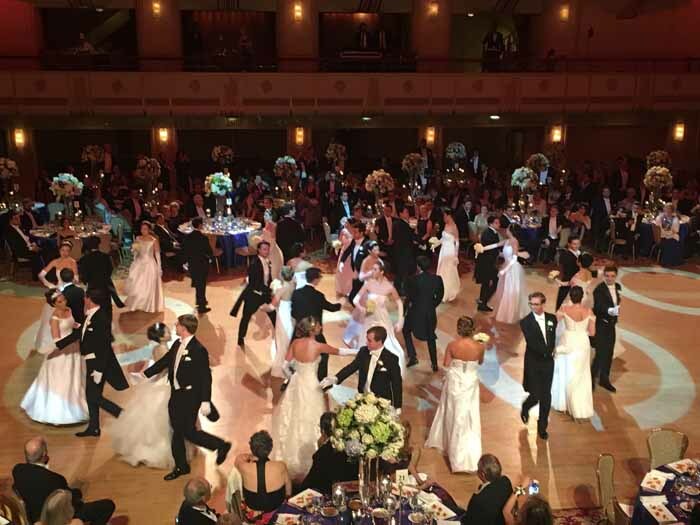 The Viennese Opera Ball is the oldest white tie charity gala in New York and is held every year at the Waldorf Astoria’s Grand Ballroom under the auspices of the U.S. Austrian Chamber of Commerce. 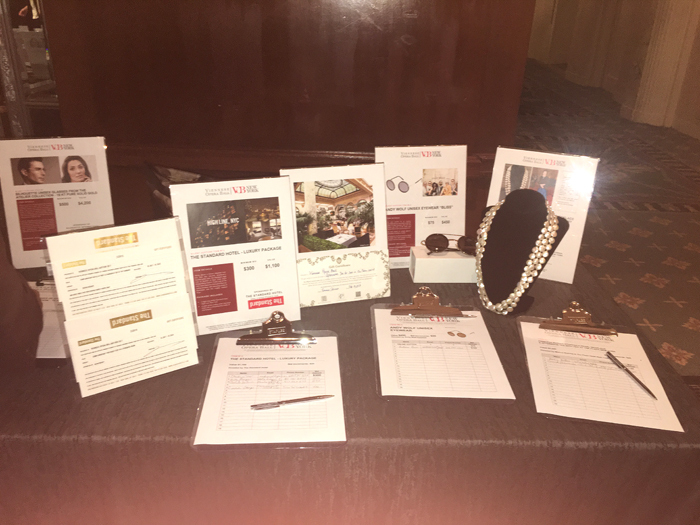 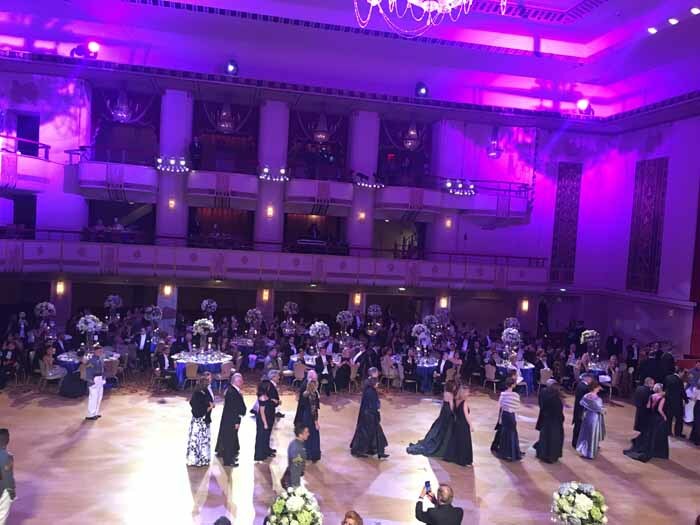 Every year the ball raises money for deserving charities in New York and Vienna, and this year’s donation went to a special project of the Jewish Museum Vienna in cooperation with the U.S. Friends of the Jewish Museum of Vienna. 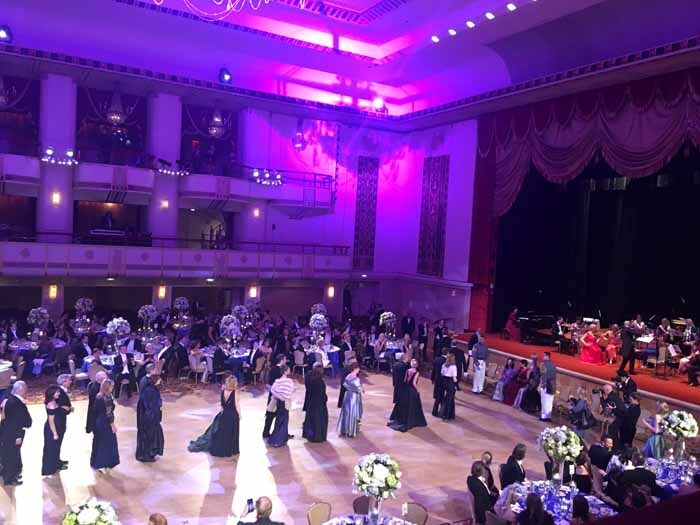 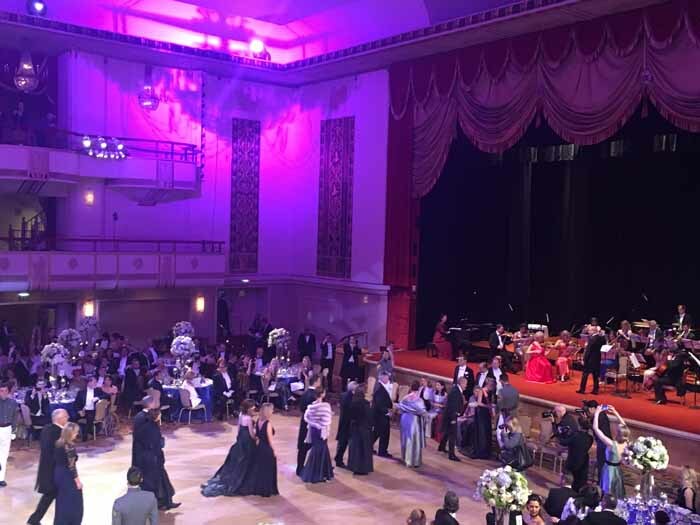 The Opera Ball is led by Silvia Frieser – Executive Director, President and Co-Chair, Michael Pecnik, Co-Chair, Director and Treasurer, Eva Chickering – Director and Board Secretary, and Dr. Stefan Eder – Co-Chair with Artistic Director Daniel Serafin. 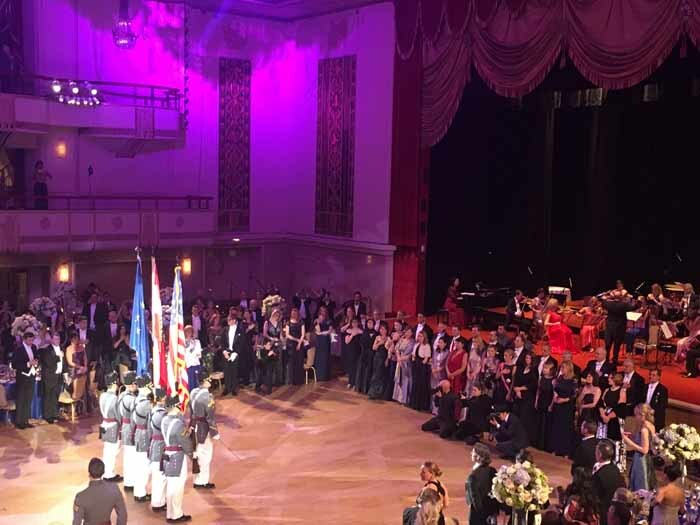 In attendance were 16 debutantes including Miss Kiera Rumbough from New York, Miss Marie-Sophie Höfer from Austria, Miss Zhiqiao Cui and Miss Emily Christina Mohr from China, and Miss Milana Guseinzade from Russia made their official debut into iinternational society. 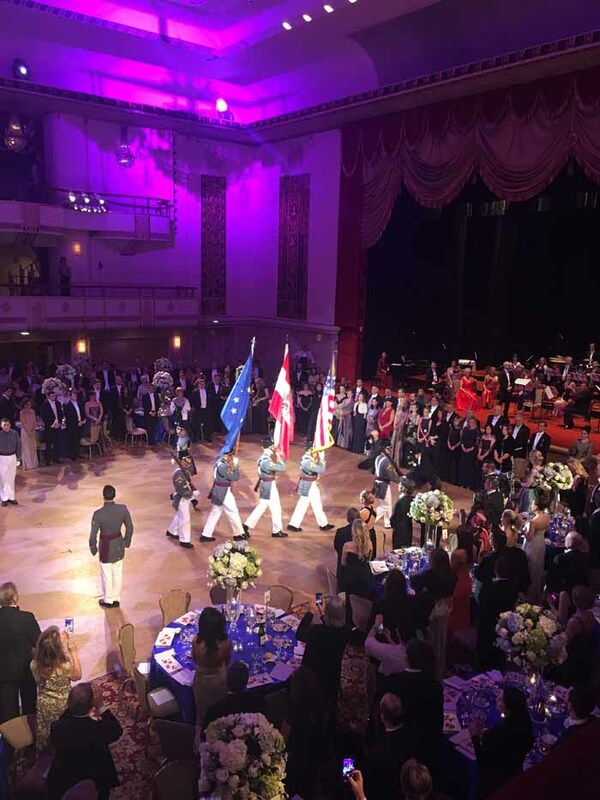 Additional notable guests included the Austrian Ambassador to the United States Wolfgang Waldner and the Former U.S. 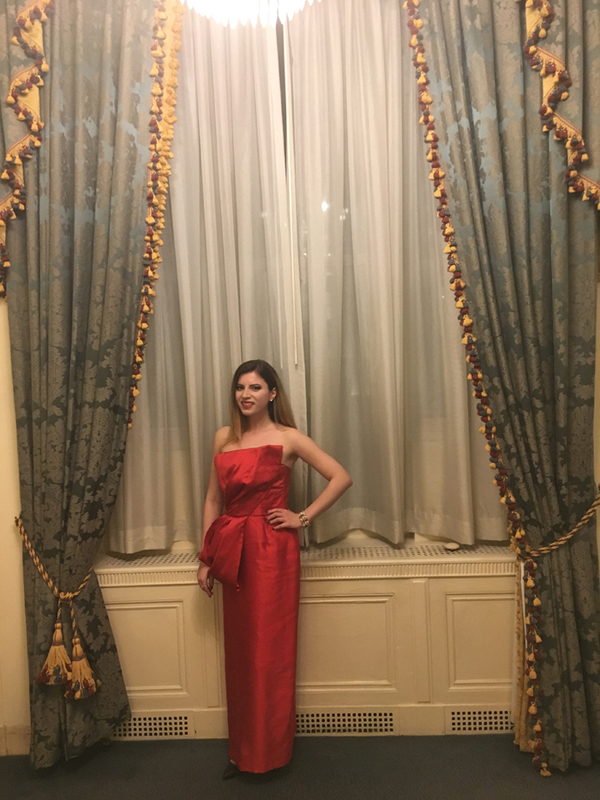 Ambassador to Austria H.E. 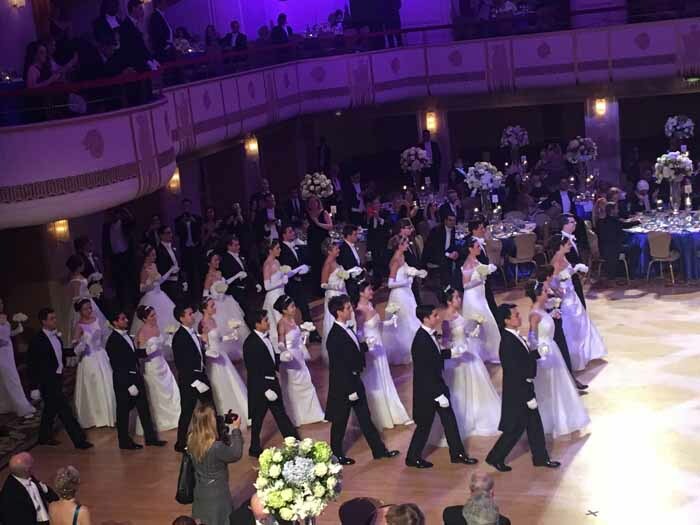 Alexa L. Wesner, Kiera Chaplin – Granddaughter of Charlie Chaplin, Former Today Show anchor Tamron Hall, Johnny Wright, Jean Shafiroff, Gary Keszler, Carl and Renee Landegger, Ursula Stenzl, Dr. Christine Frissora, Harald & Inge Serafin, Guenther Greiner, Albert & Judy Kurpis, Irena Holiat, Jane Scher, and R. Couri Hay. 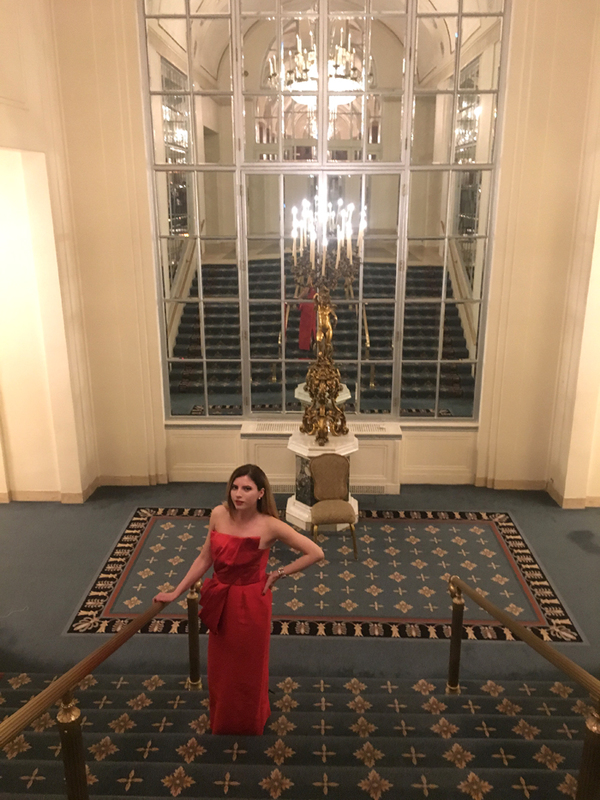 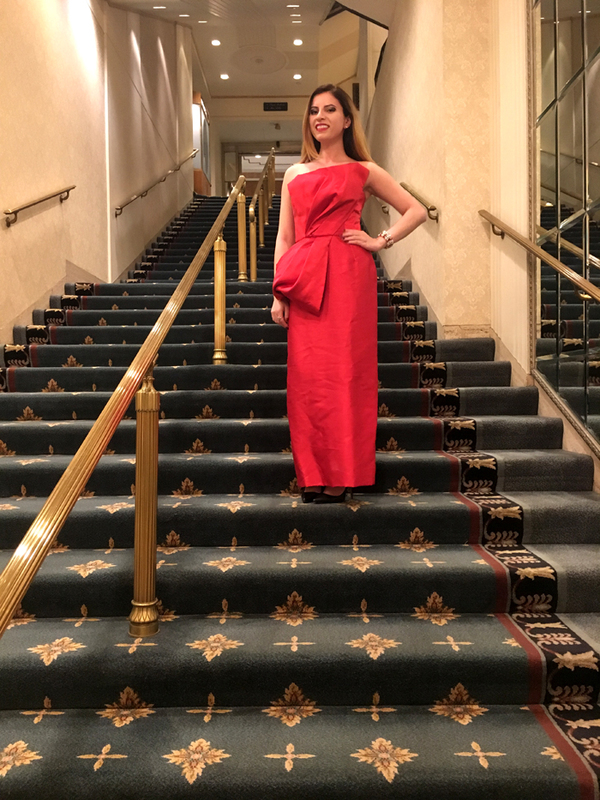 Every year at the ball it's become a tradition to walk down the beautiful staircase at the Waldorf Hotel and pose for a photo. 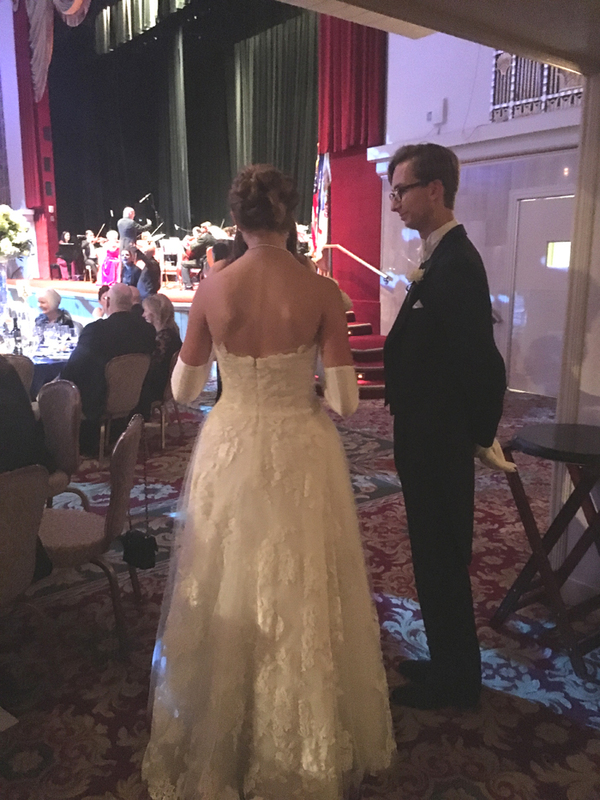 There's something so magical about this beginning moment to look down in absolutely awe and feel excited for the evening to come. 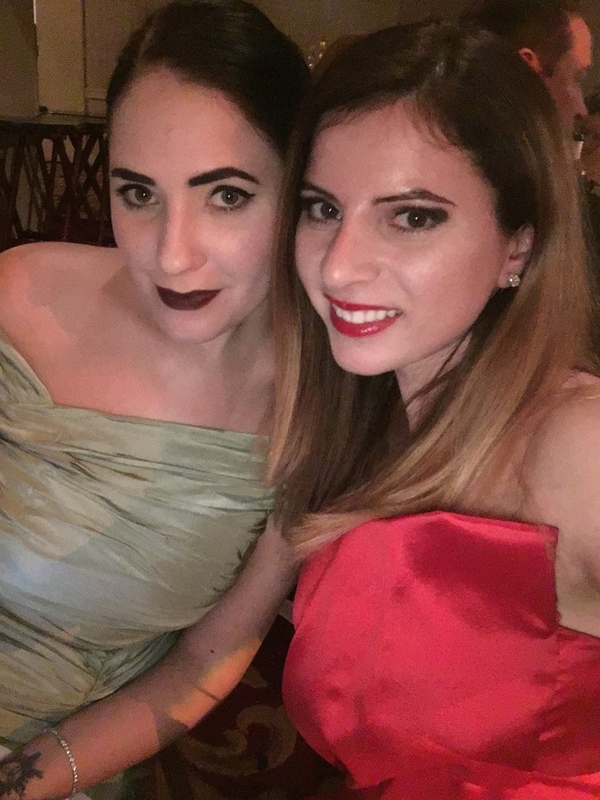 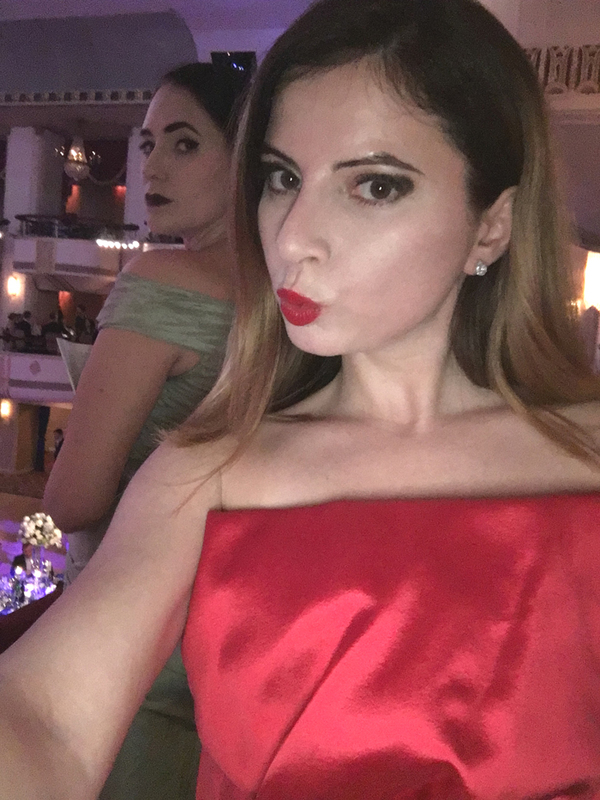 This year I brought my lovely friend Nora Kobrenik with me to help me capture all the beautiful moments of the Viennese Opera Ball. 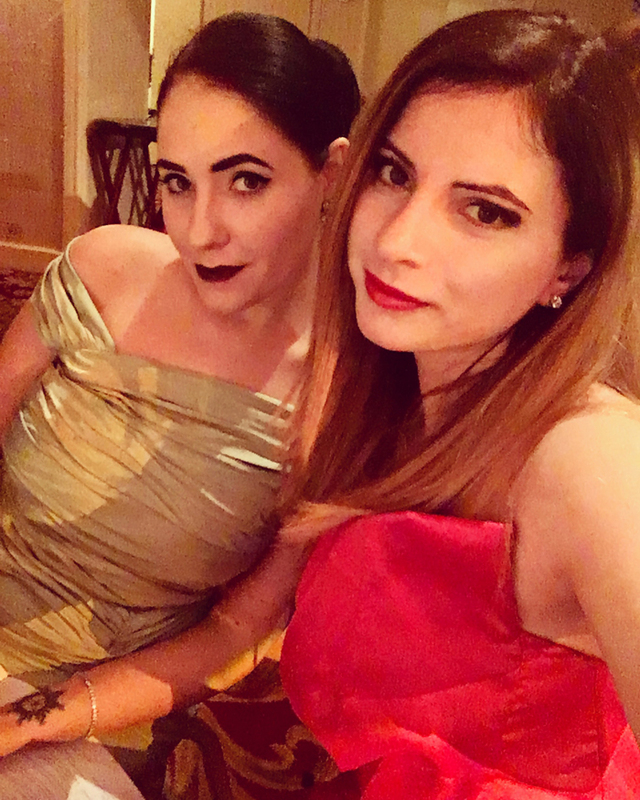 We always have the best society adventures, and I was so happy to have her by my side to share this special evening. 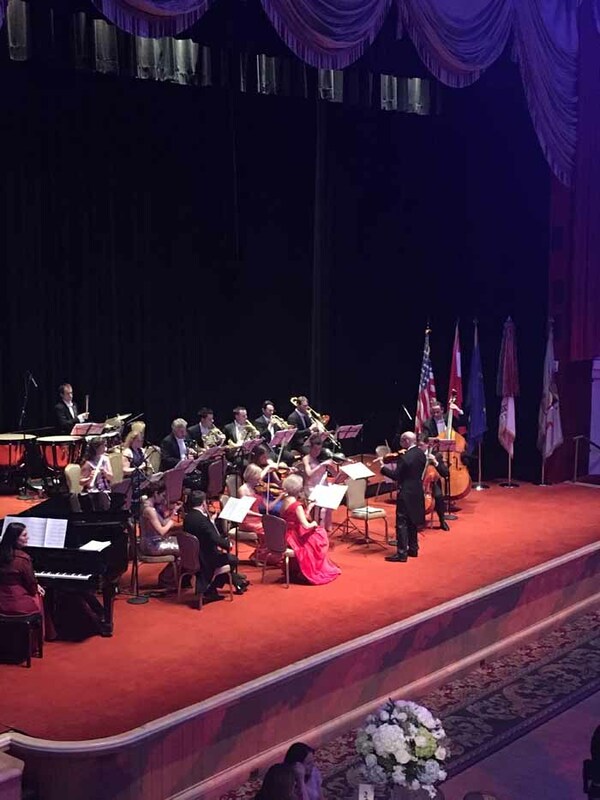 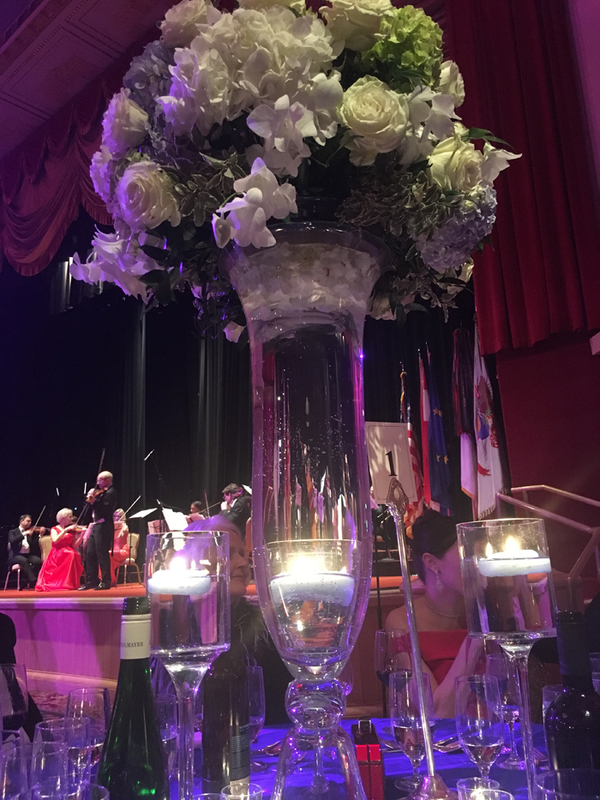 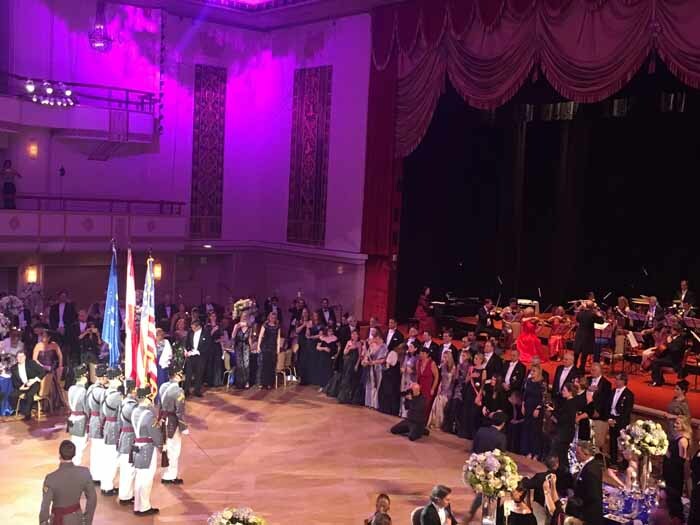 The evening commenced with dignitaries taking their seats to welcome and see the presentation of debutantes and escorts, and polonaise led by Heinz Heidenreich. 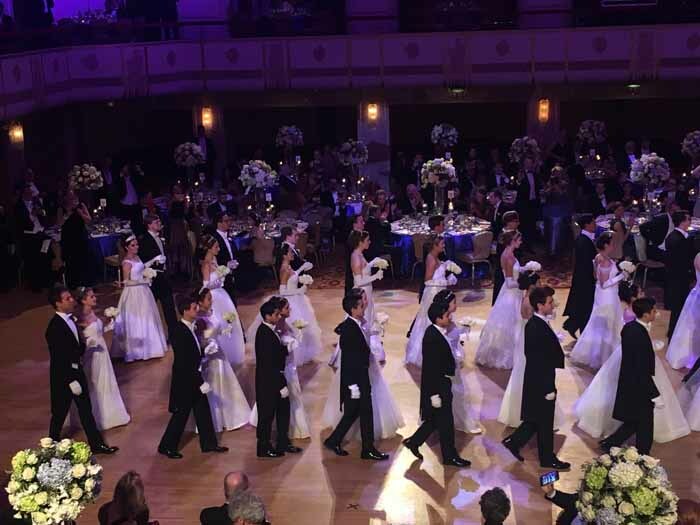 The debutantes and escorts took to their first waltz that looked every bit of a magical fairytale with their sashing white gowns and matching opera gloves. 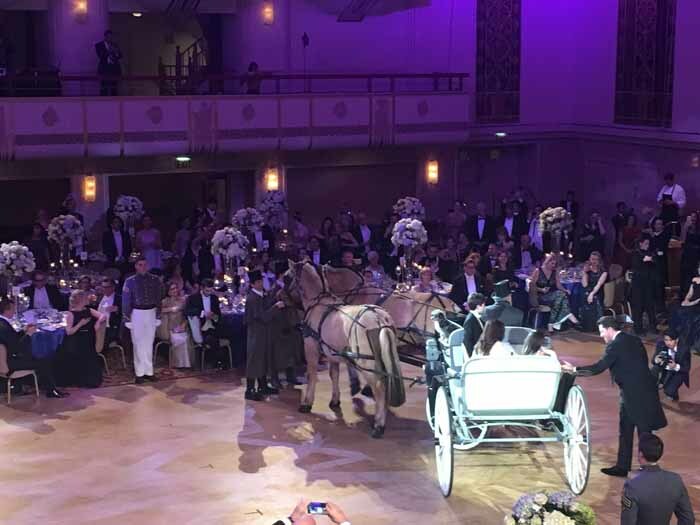 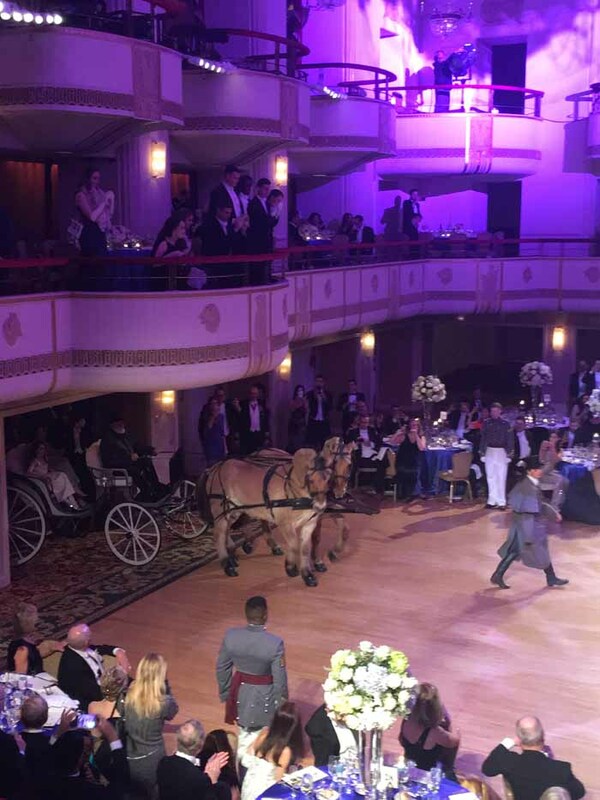 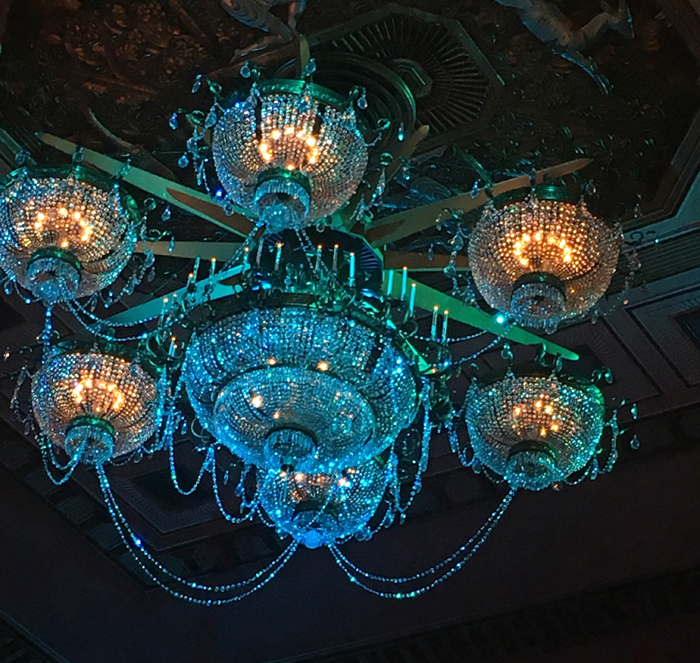 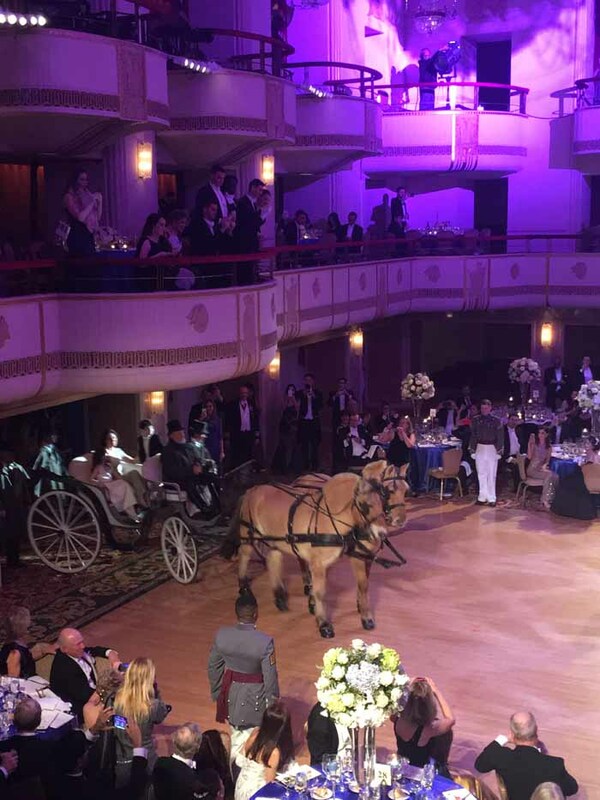 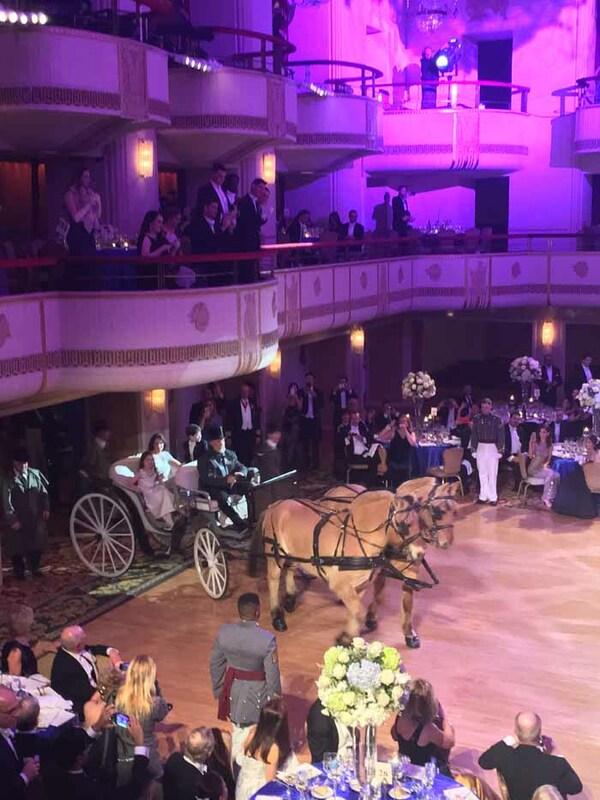 Every year there is a surprise performance that includes something you would see centuries ago, ie this year there were a horse and carriage, and year before that two sheep pranced into the ballroom. 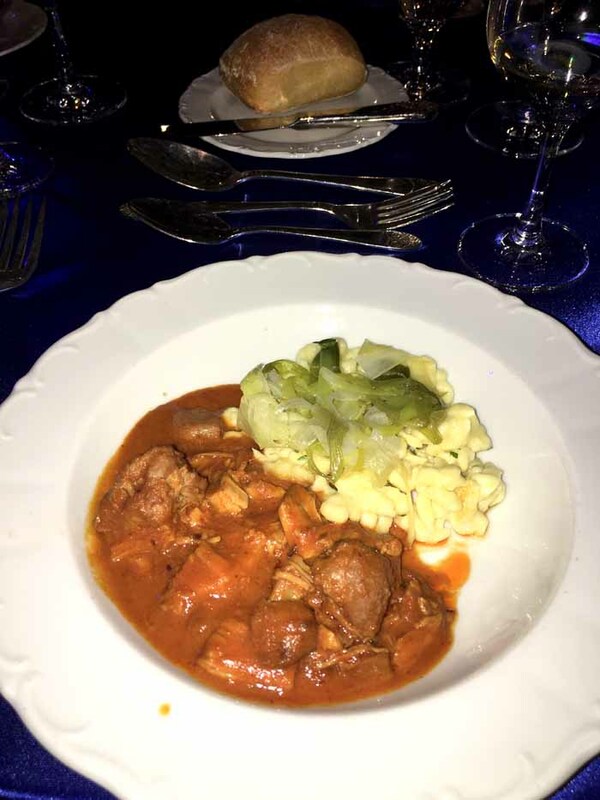 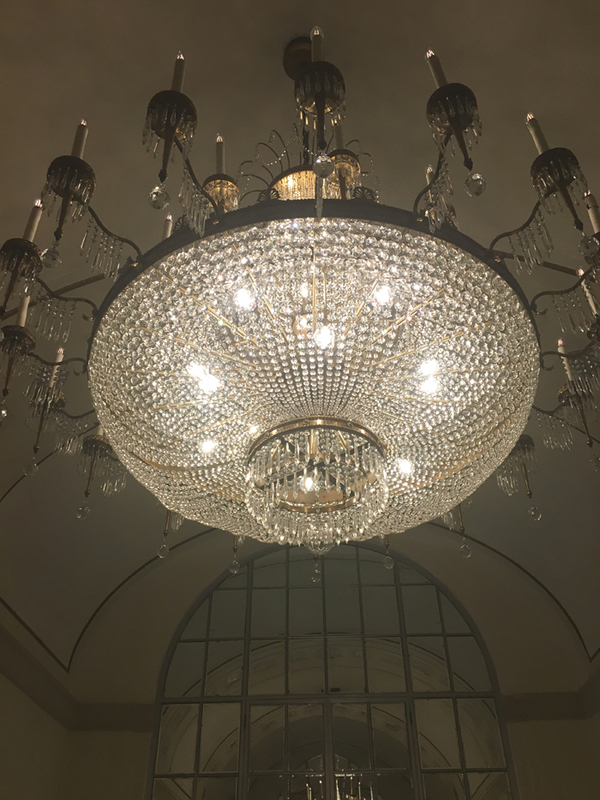 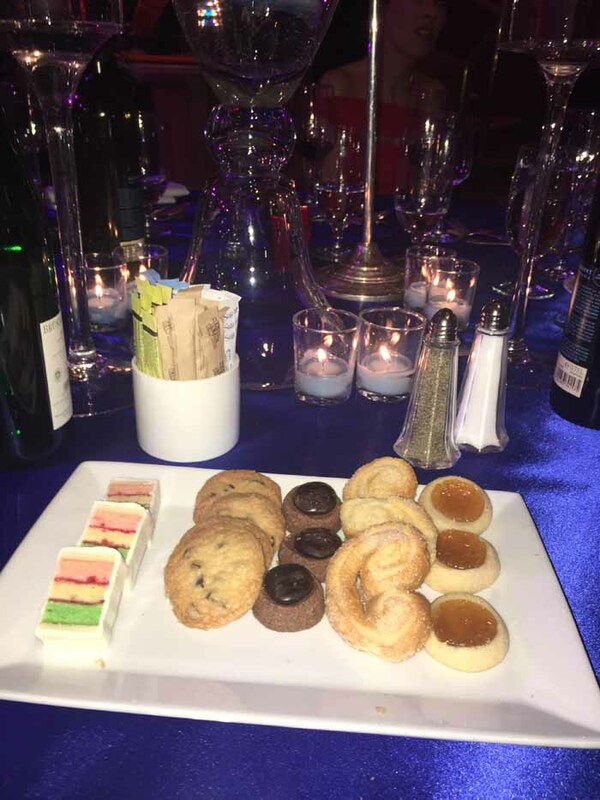 The evening included an incredible 4 course dinner menu with Scottish Ocean Trout, Chicken Paprikash, Ribeye and a slew of Viennese desserts like apple strudel, ice cream. 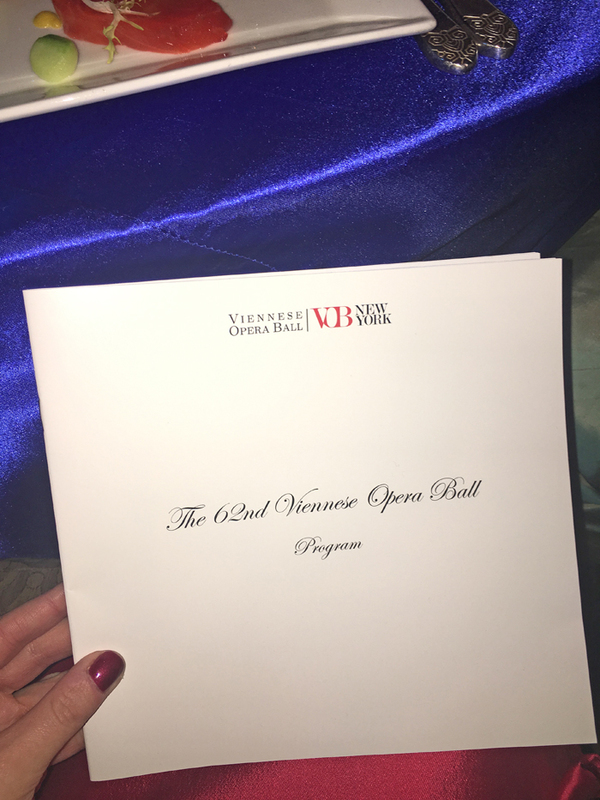 Thank you so much to the Viennese Opera Ball PR committee for including me again on the very limited press roster. 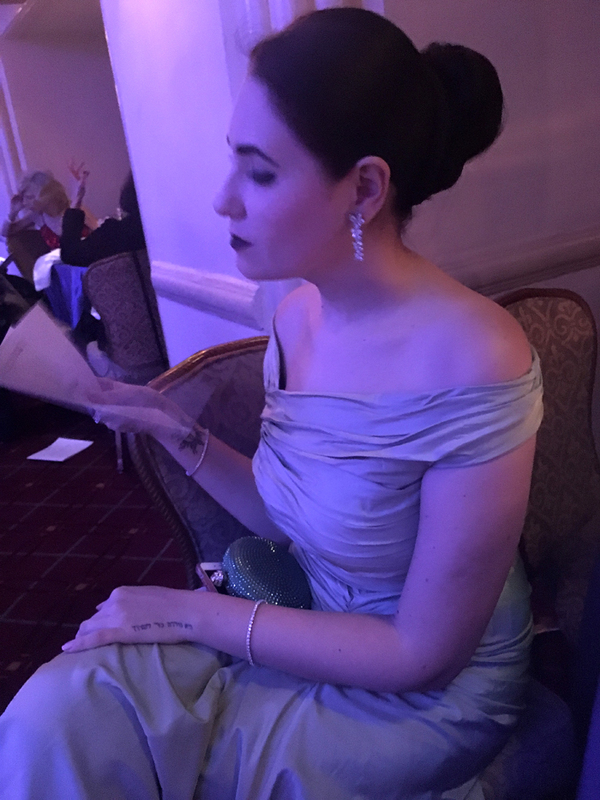 It was another incredibly magically evening for the history books.